Easel-An Atrayee Nirman Initiative announced the third film of their production named Baranda. The film is based on a story by ace Bengali writer Moti Nandi. Reshmi Mitra is the directror of the film and the story of a character's lifelong wait on the metaphorical 'balcony of life' having lost everything. Rituparna Sengupta is playing the main female character in film Baranda. 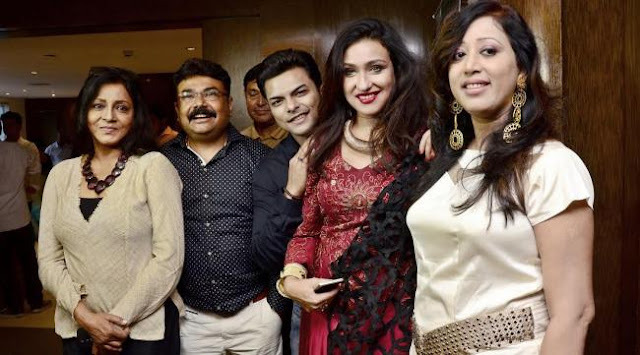 This is going to be Rituparna Sengupta's second film with Reshmi Mitra and also her second film on story of Moti Nandi. Apart from Rituparna, other actors in film Baranda are Bratya Basu, Srila Majumdar and others.